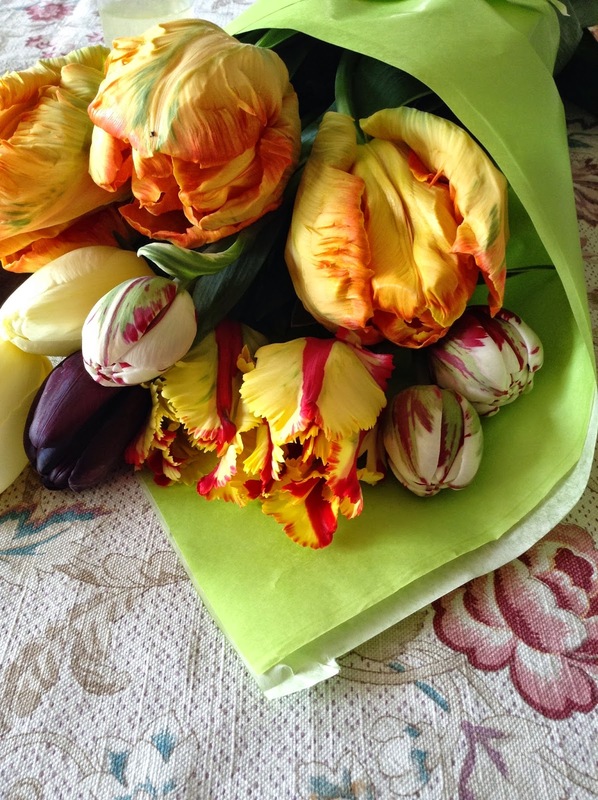 Tulip time is one of the highlights of my flowery calendar. 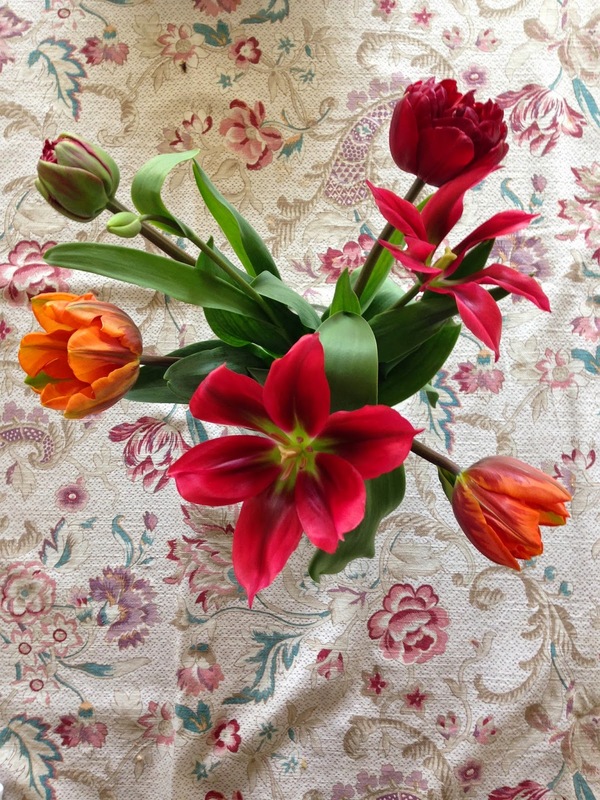 Sitting in front of me as I type are the most beautiful mix of tulips - striped, parrots, tall, small - so ridiculously pretty they don't look real. 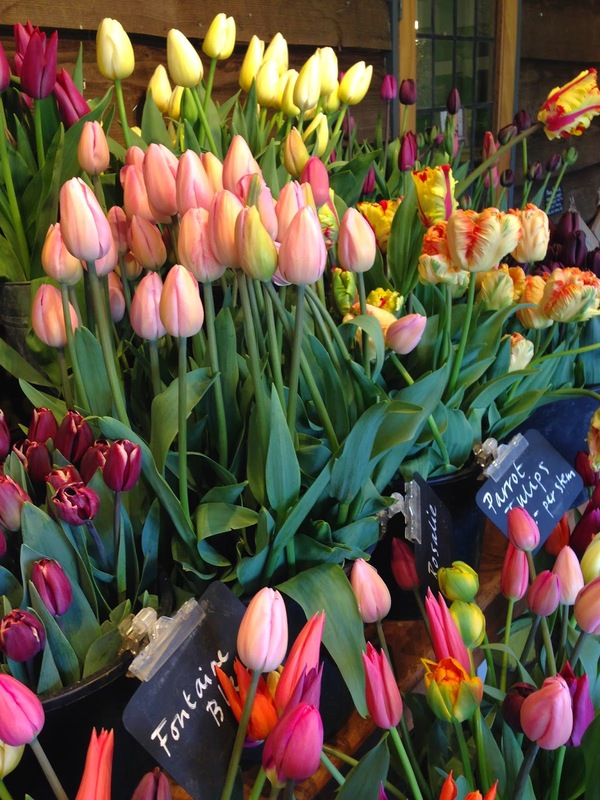 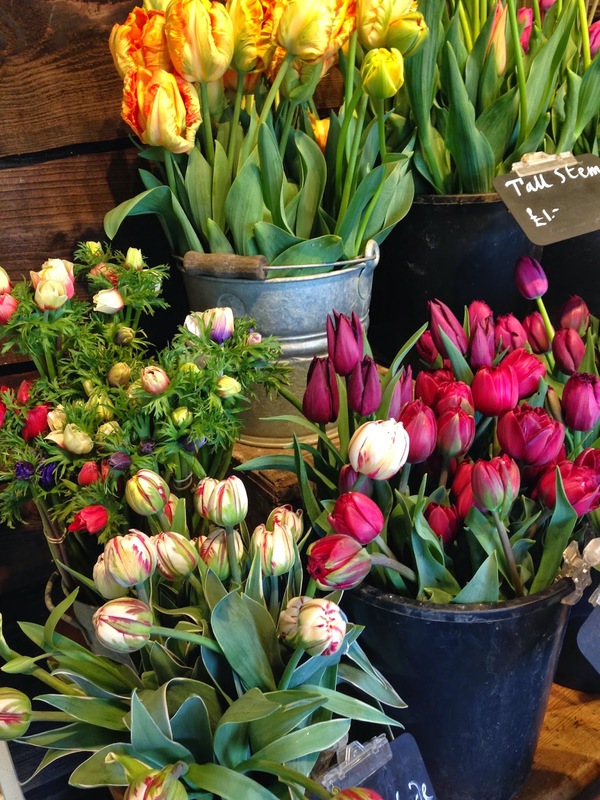 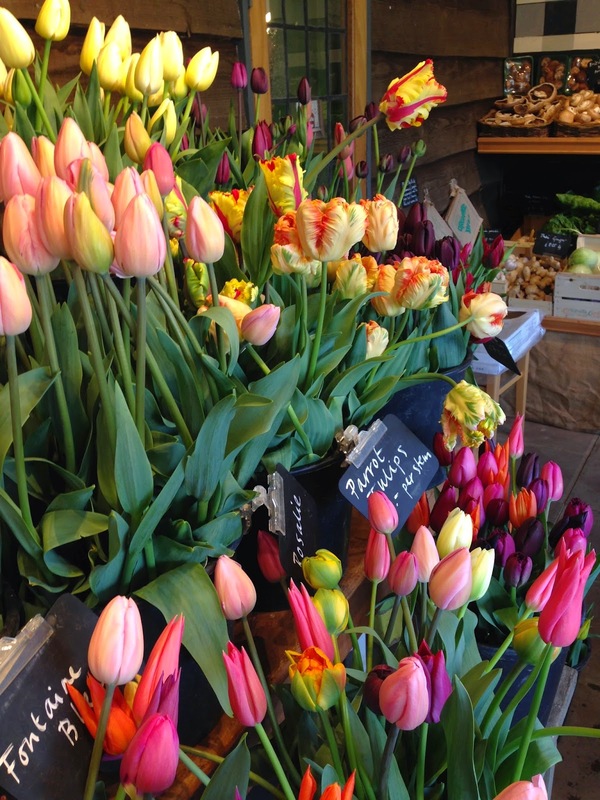 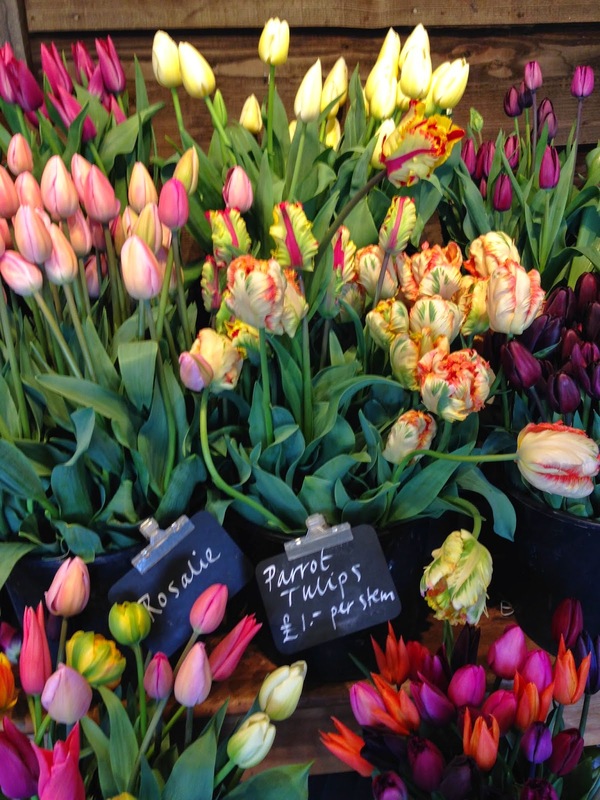 If you feel like a flowery outing this weekend and don't have the time to go to Holland, Worton organic is the place is the next best thing.